With another great year coming to an end we get to reflect on all of our beautiful couples we had the opportunity to work with. For each and every couple we made the time and effort to get to know who they are. Every couple and every wedding is an opportunity for us to create an experience as unique as their love story. 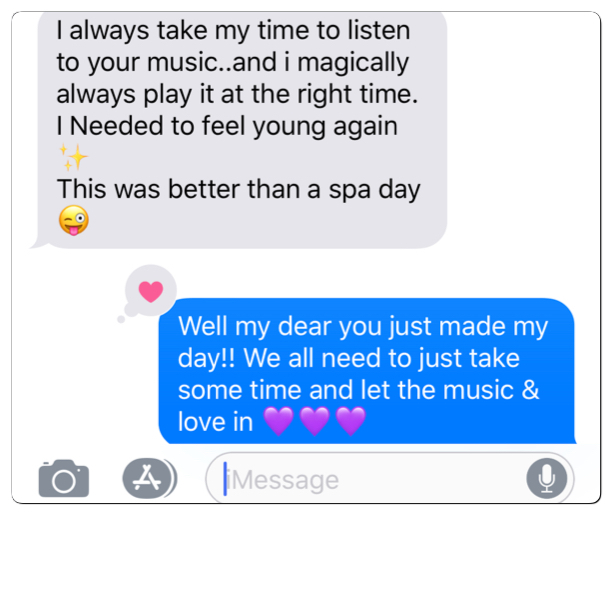 When our DJs and Coordinator sit down with our couples we specifically want to learn what is important to them and their top priorities to please themselves, their families, and guests. The big advantage by booking multiple services through DJ Pasha Entertainment is the trust, confidence, and quality we are known for. And we are proud to say each of our team members are in sync with your event, customizing every detail to your timeline, theme, dress code, and color story. We want to arrive early, stand proud, and look out and see your happiness! “I just wanted to take a moment and compliment someone that has appeared at the last year’s festivals. My wife and I were introduced to the festival in 2017 and could not wait to get back in 2018. Once again, we had a phenomenal time and we really look forward to next year’s event. Each year our group size grows and next year will increase as well. It is a fantastic event and very well done by all who put it together. Around the time of this year’s festival, I decided that I would throw my wife a surprise birthday party. Each night, we would finish the event at the wine stage where DJ Pasha closed down the festival (a special request would be to allow him to stay later if possible!). My wife commented on how great the DJ was so when I went back to work on the Monday after the festival, I looked up DJ Pasha to see if he could handle our surprise birthday party. I figured that your event was so large and had so many people that our 80-90 person party might not be large enough. Well, I was surprised and he had no problem accommodating our request. Throughout the entire process he was beyond professional, helpful and did an amazing job for the party. We considered him family by the end of the event and I wanted to take a moment and share this with the powers that be within your organization. I own an IT Construction and Consulting firm that designs and installs solutions throughout the nation. I personally work with many vendors throughout the country and when I find one as professional, prepared and easy to work with as DJ Pasha, I felt more than obligated to advise your leadership of our experience. A performer operating at your venue says a lot about the venue as a whole. I would strongly encourage you and hope that you continue to use DJ Pasha for the upcoming events. I could not speak more highly for the way he handled our party, nor the way he closed down your event every night. DJ Pasha Ent After Party RETURNS! For over 6 years DJ Pasha Ent. has provided entertainment for and worked together with the Temecula Valley Balloon and Wine Festival. For the last 2 years the element of having a party DJ at the festival created a completely different vibe. In 2016 festival promoters and DJ Pasha had a meeting to increase the visibility and presence of the DJ. 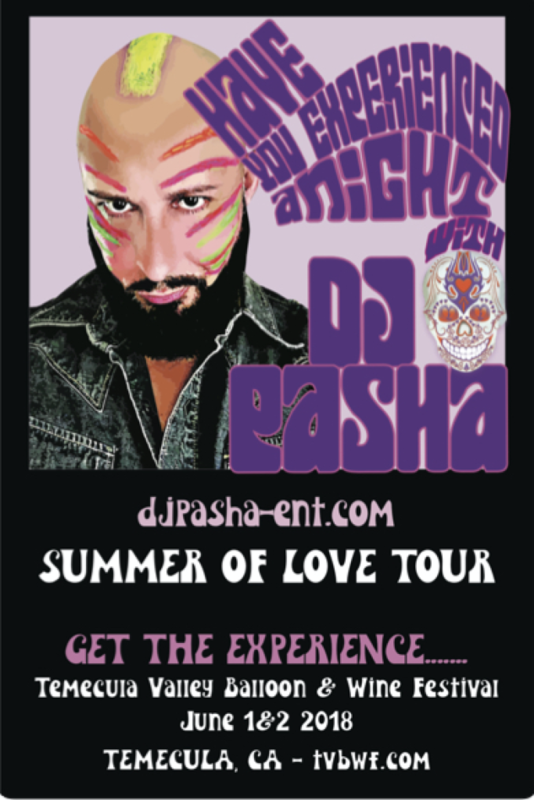 DJ Pasha came up with the concept of a After Party for Friday and Saturday nights. With thousands coming to Temecula from all over filling the camp grounds and local hotels this would allow a safe atmosphere and a huge party to look forward to! On Friday June 1 and Saturday June 2, after the beautiful Hot Air Balloon Glow show and the evening’s main stage act come dance the night away with DJ Pasha for both nights. 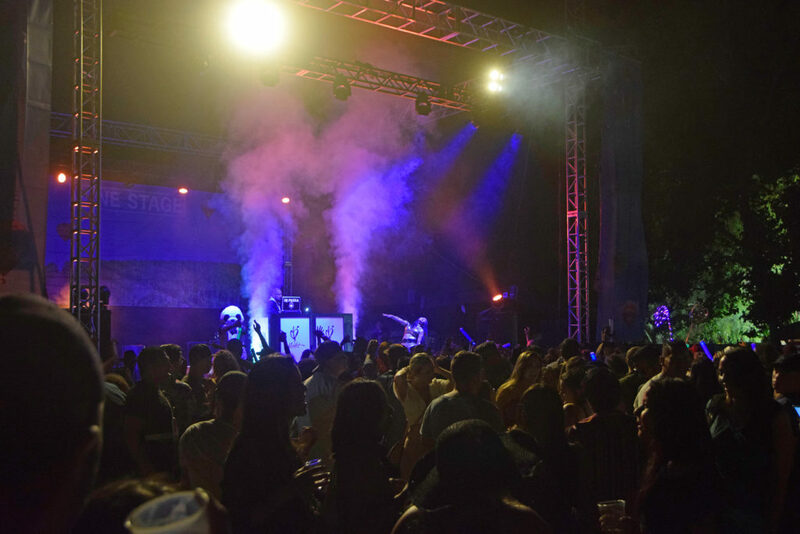 DJ Pasha will also be kicking off the Festival opening the Main Stage Friday night with a rocking set to welcome Safety Orange, Spin Doctors, and Sugar Ray live on stage. Get your tickets now at https://www.tvbwf.com/ to the Summer’s Biggest Festival featuring: Wine tasting, Beer tasting, shopping experiences, food pairings, Hot Air Balloons, and the Energy of DJ Pasha. See you at the 35th Annual Temecula Valley Balloon & Wine Festival! With our 20 years of experience, we want to share thoughts and ideas. We do not tell couples what they need to do, we listen. For D’Veon and Veronica it was extremely important to them to connect both family and culture from both sides. Their DJ and Master of Ceremonies was DJ Pasha. The three of them went through many ideas to combine a First Dance like no other! Our Groom really wanted to show his new bride’s family that he has embraced their Latin roots. DJ Pasha collected the songs they wanted to incorporate and recorded different blends and mixes for the couple to practice their big dance. The couple would send him video of their routine so he could capture the feeling second by second. DJ Pasha and our couple decided on a slow Bachata remix featuring Usher to open the elegant dance. Then as a surprise DJ Pasha would mix in a high energy salsa selection and the Groom would through off his jacket and spin his new wife around. Day of the Wedding Master of Ceremonies DJ Pasha had every guest surround the dance floor in anticipation of our Bride and Groom’s entrance. 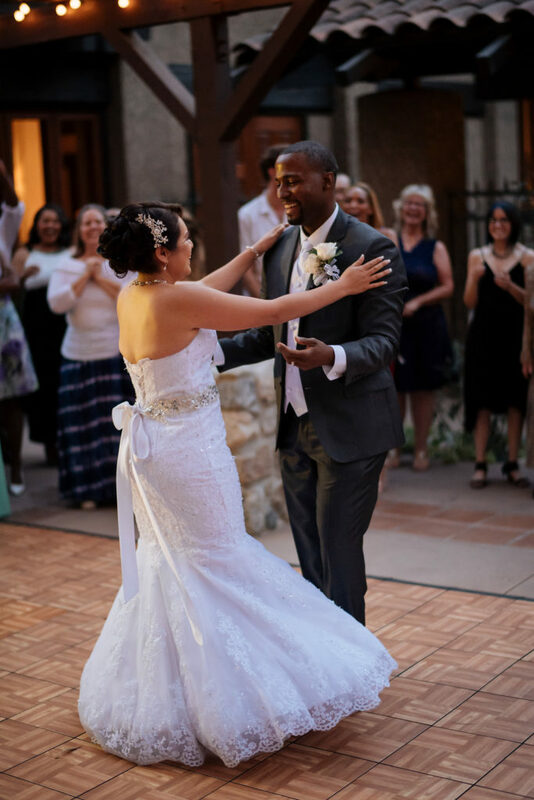 Our Bride and Groom began their First Dance with sensual ease and when the salsa song came on and the Groom’s jacket went flying into the crowd every guest began dancing around our beautiful couple! 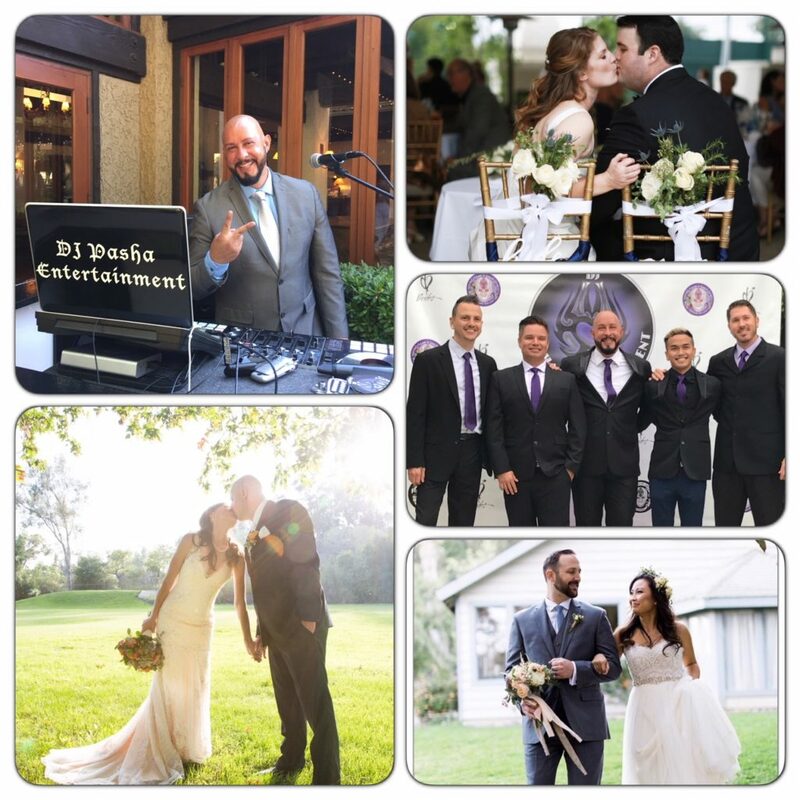 These moments of personalization, fun, and involving every guest is DJ Pasha Entertainment Spinning Your Day Your Way! For DJ Pasha entertainment music is life. When you think of music you can remember so many moments in your life. What did your parents listen too? What was playing in the car when you went to school or on vacation? What was the first song that made you want to dance and lose control? Throughout your life music supported you when you were happy, mad, sad, or even confused. Not all couples budget or even realize how important hiring an experienced DJ/MC performer is. A professional doesn’t “Just Play Songs”, we share our knowledge of our couple and experience with music. A Wedding Day is full of emotions and we provide your soundtrack to your new lives together. When guests arrive at your venue we welcome them with a feeling of class and anticipation to see the Wedding Family, Party and matrimony of our new couple. With the right vibe, tempo, and volume the excitement grows. For Guest Arrival we have played everything from Big Band Jazz for family from New Orleans to music scores and hand picked artists, even video game songs. This is the custom service we provide. We are telling your story as ONE now. A story that song by song represents our couple, family, and friends. What music makes both sides of your families not hold back from singing and dancing? What ages will be in attendance? With these questions the relationship with our couple and their personal playlist begins to grow. This is the fun part for us. We treat every party different and with a wedding we look at it as multiple parties. Here is how we see it- We have our couple, each an individual with likes and dislikes but yet through the relationship have grown to like each others tastes. There are road trips, concerts, moving in together, cleaning your house! Music has always been there, to make you dance, laugh, and cry together. No 1 couple is the same, and like a photographer pulls out a smile we want to pull out your style. To be continued……..
10 years ago DJ Pasha Entertainment was introduced to the review format of WeddingWire. DPE was not a paying member of WeddingWire and did not know much about the site. 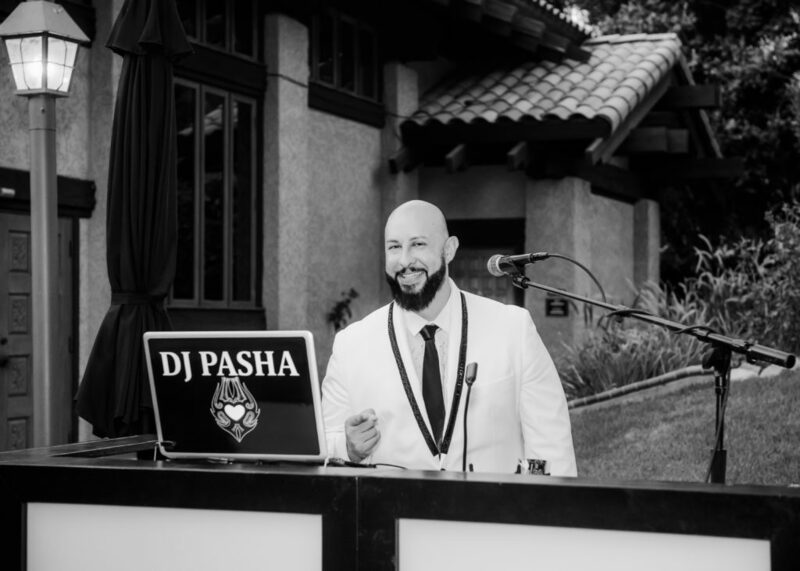 Couples, brides, and grooms began proclaiming their happiness and experience with DJ Pasha Entertainment to the world on their very own. That very year due to the overwhelming 5 star reviews we were awarded the 2009 Couple’s Choice Award! This award honors only 5% of wedding professionals who have demonstrated excellence in quality, service, responsiveness, and professionalism. This award and these reviews really showed us the impact we are making. After a gorgeous wedding day and the biggest party of our couple’s new lives together our relationship keeps building. From our first email and phone call we want to begin that TRUST. That trust comes from you knowing exactly who you are working with. A company that listens and cares about what is important to you and treats every couple and client as special as their wishes are. A company with 20 years of experience included within our value and all that we offer. We are proud to say if for whatever reason we did not get booked for the initial wedding or party, after their event clients will still reach out to us. Events from anniversaries, birthday parties, work events, or even to their first home we celebrate with you. Since 2009 DJ Pasha Entertainment has won the Couple’s Choice Award every year. 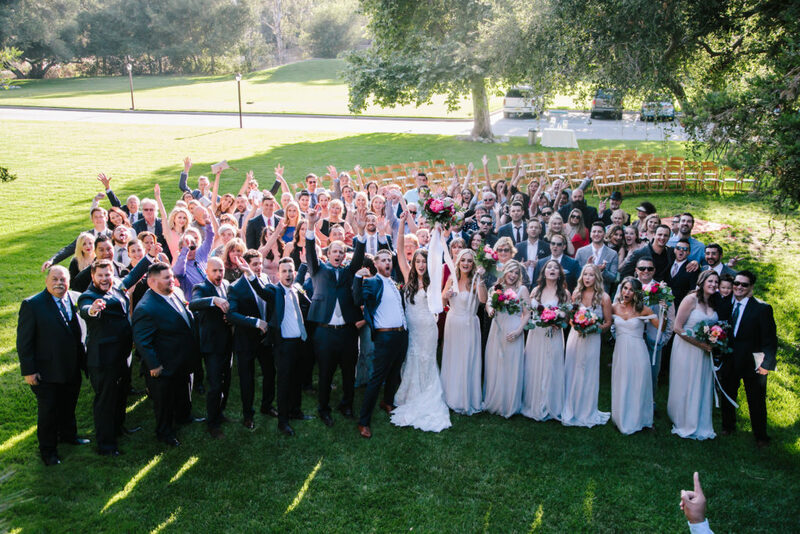 With over 200 reviews couples and clients have shared the joy and satisfaction of booking with DJ Pasha Entertainment and Coordination. We want to be your supplier of good times for life. With reviews word of mouth from an actual couple or client says allot. From performing over 120 events a year, seminars, and workshops we continue to build the knowledge and understanding to assist our clients with a flawless and stress free event. We want to earn those 5 stars and create an experience you, your family, and friends will talk about forever. We remember meeting our Groom-Sam while we were setting up for our wedding event that day. Sam was from out of state and was venue searching while in town. We later found out Sam was in charge of the venue and the music. Sam was impressed with DJ Pasha’s set up, he expressed it as the cleanest set up he’s ever seen at a wedding. He also loved the up lights, pin spots, and custom monogram we provided. Being we arrived extra early for set up DJ Pasha and Sam sat down and chatted. DJ Pasha and Sam spoke for about 35 minutes and although the couple still needed to find a venue Sam told us their date and also wanted to reserve DJ Pasha. He was so excited to tell his Bride to be that 1/2of his duties were done and she has to meet DJ Pasha! Our Couple Laurie and Sam wanted a location out of town guests would be excited about but also dreamed of a rustic garden wedding. We made suggestions and even met with them for site visits. They found exactly what they were looking for at The Garland in Hollywood. 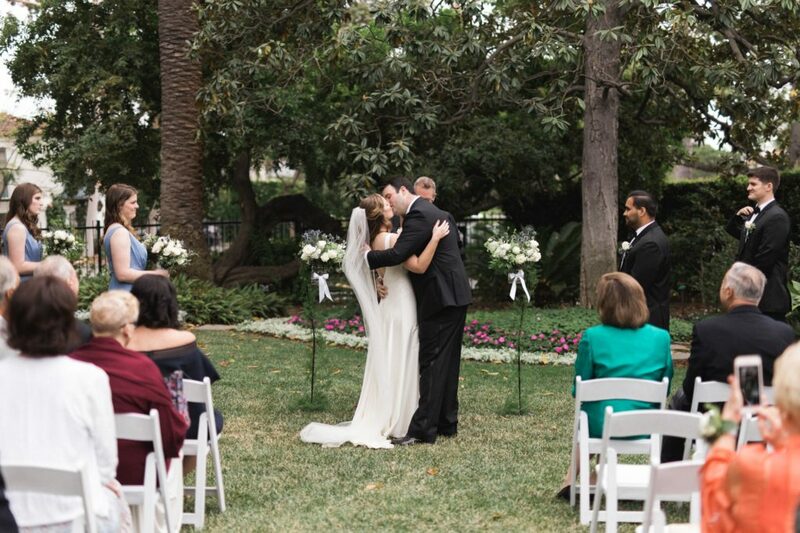 With a secluded garden, gorgeous trees, a fountain centerpiece, and a lovely area for the ceremony our Bride was extremely happy. We were excited to start planning their wishes and organizing the sound and lighting specifics for the space. 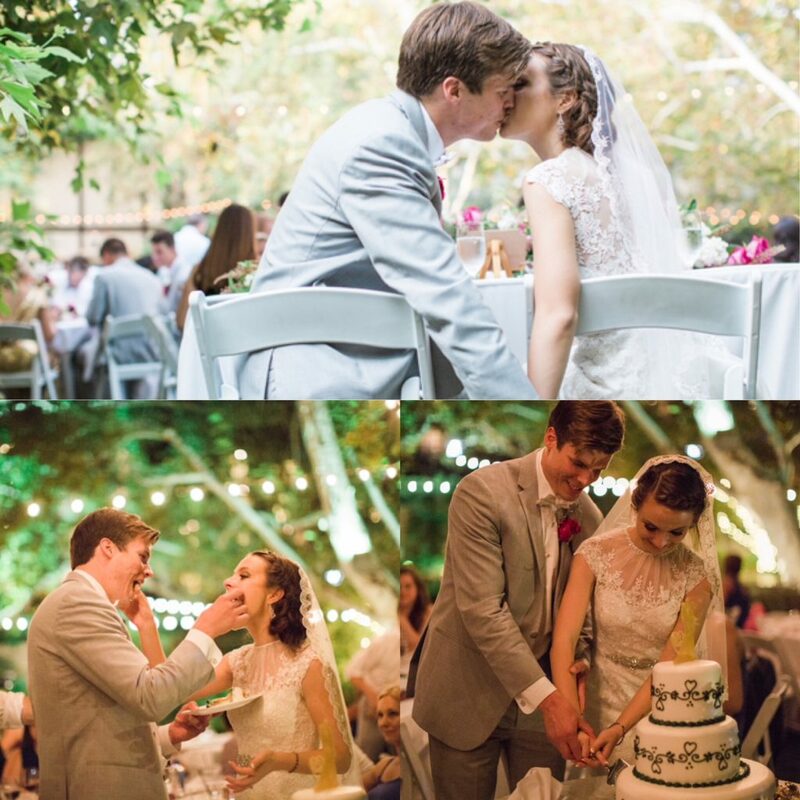 As months turned into days we were ready to produce a perfect day for our couple. On their Wedding Day Laurie and Sam could not wait to see each other. After a fairy tale ceremony the two were able to look at each other kiss and laugh as their wedding party had just begun. From beautiful parental dances and toasts we could feel the happiness from our couple. And when it was time to dance with DJ Pasha, guests ran to the dance floor and never left. Every song in every mix DJ Pasha performed built more and more excitement. Labor Day the last big summer holiday of 2017 was red hot on the beach with DJ Pasha Entertainment. The Santa Monica Beach Club wanted to offer something totally different to their members and guests this year. With us being the in house entertainment for over 16 years the Beach Club reached out to us for ideas. With Latin Music crossing over more and more into mainstream and our knowledge of the cultures, we suggested a “Hot Latin Nights”. The Beach Club loved the idea and the DPE creative team got to work! From our recent travels to Puerto Rico and Mexico we wanted to make members feel as if they were on vacation. The Beach Club resident DJ Pasha was confirmed to spice up the night with rhythms from all Latin countries including Reggaeton, Merengue, Salsa, Soca and favorites like Santana, Mana, remixes and tropical house music. Next we wanted to provide an interactive Latin band. We organized an award winning 7 piece live salsa band which we have worked with many of times in numerous Clubs and festivals. The energetic salsa band jammed for 3 dance sets throughout the night. As the sun went down the DPE show heated up. 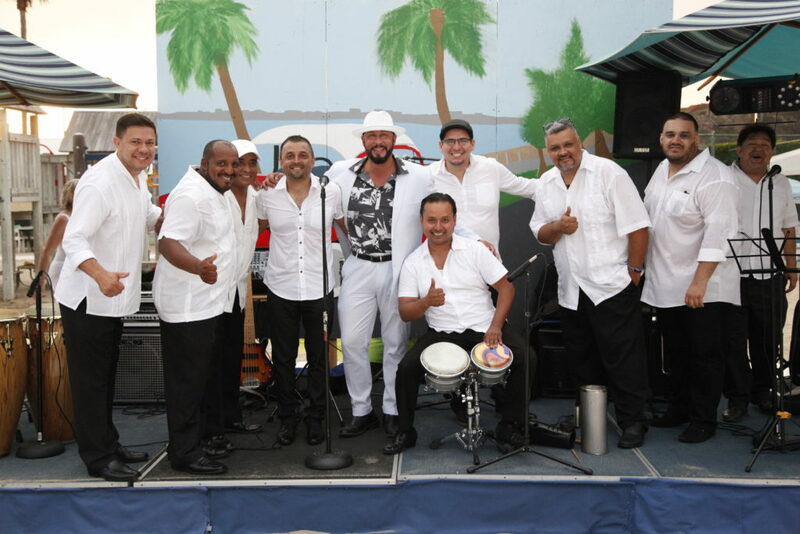 With our knowledge of the Club’s members we worked together with the band director to create set lists with not only salsa music but we included English music with a Latin flare to it! DJ Pasha welcomed guests as if they just landed with tropical beats that made everybody move. Our Green Screen had Havana and Beach backdrops for everyone to create their own keepsake postcard of their summer journey. With our extensive team of dancers we knew exactly who we needed to add to the show. Our salsa dancers just returned from winning first place in Canada and where ready to teach and motivate party go-ers. Our dancers put on 2 electrifying shows and also taught salsa and bachata to all ages on the beach. Our interactive dancers made it so easy for all to learn. In our performances we want our clients to feel comfortable and involved. It makes us so proud to see the crowd dance, laugh, and try something new that they will remember forever. Management and the Club’s members were very impressed with our production and flow of the evening. Attendance that Holiday weekend was at it’s highest in years. At DJ Pasha Entertainment we have so much to offer. With our experience, travels, and global performers we will customize every event to represent our clients. This is why we are the entertainment choice for multiple Private Beach and Resort Clubs through out California. The Clubs include The Jonathan Beach Club, Bel-Air Bay Club, The Jonathan Town Club DTLA, The Valley Hunt Club, and The Big Canyon Country Club Newport Beach. And we can take our show anywhere even your backyard. Just ask and we will make it happen! DJ Pasha Entertainment Black Friday! Welcoming Family and Friends to a ceremony to unite 2 families and 2 beautiful people. And by being a part of the couple’s new life journey together we offer them the biggest party of their life. Celebrating all birthdays from year 1 to 100. Being a part of young adults taking their steps into adulthood at Bar/Bat Mitzvahs, Quinceaneras, and Sweet 16’s. And even creating a winter wonderland with snow on the beach, holiday music, and unicorn rides. We see the smiles, excitement, and joy it brings and we want to share the love even more! It was announced on November 19 on social media that something big was coming from us on Black Friday. Our gift to you is not just a discount it is an open door to meet us, let us help, and experience who DJ Pasha Entertainment is! Call it an open house, let’s chat, laugh, have coffee and plan YOUR DAY YOUR WAY! We want to share our 20 years of event experience with you. We want you to see just how easy it is to inquire, ask questions, have ideas and know all of your options and all that we have to offer. We want to work with you and for you and show you what you’ve heard, seen, or read is very true. We make it personal with custom customer service. Owner DJ Pasha comes from an extensive retail background and knows every customer is different and has different wishes and needs. DJ Pasha began managing stores in California and traveled opening over 10 stores throughout the US. Black Friday has become it’s own holiday and we don’t want this to just be a sale, we want to get to know you. From all of our successful events we quickly become friends and the life long entertainment choice for many of our clients. Let’s all grow together and have fun doing it. Happy Holidays we look very forward to welcoming you into our world.